Help Beetle defend his underground home from evil invaders. 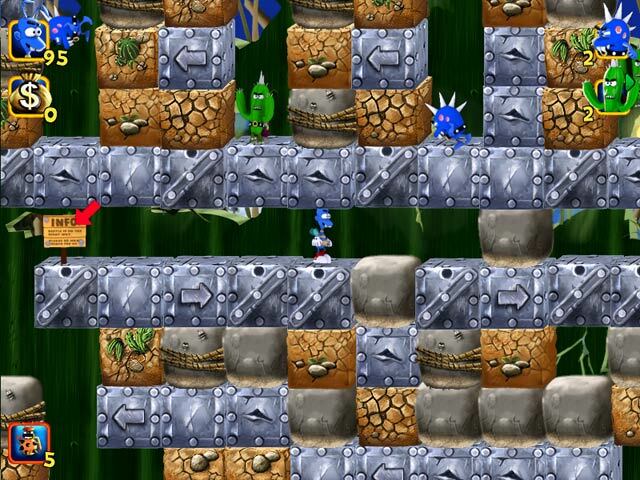 Each maze-like level calls for your arsenal of logic, wits and weapons to succeed. Fly around and dig through chunks of earth to get by in this side-scrolling adventure, but beware of enemies and falling rocks! With extra bonus levels scattered about, you'll want to explore every inch of this underworld. Beetle Bug 2 is rated 4.3 out of 5 by 3. Rated 5 out of 5 by 16paws from Think! Think! Think! Had enough of HOG and tedious platformers that have you hopping endlessly from platform to platform in predictable gameplay? Here is the game you've been waiting for. (I was, anyway.) 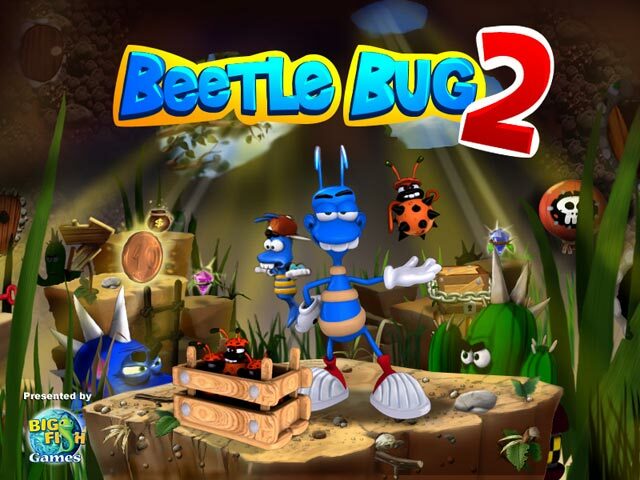 Although Beetle Bug 2 is similar to Rabbit's Magic Adventures, I found the game to be much more enjoyable. I never finished RMA because I couldn't figure out how to destroy the monsters. 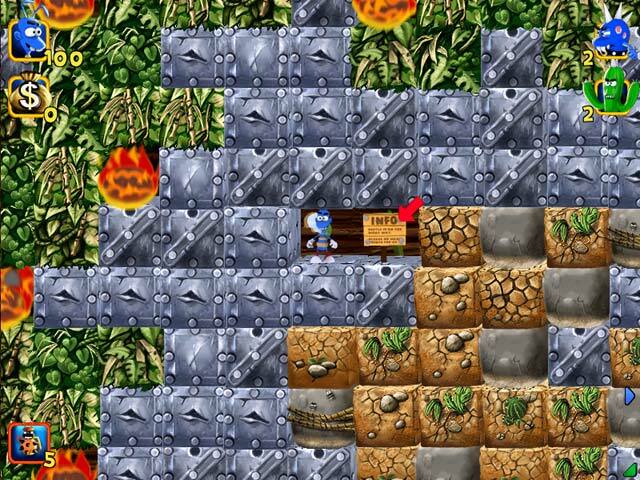 BB2 is just as challenging (you will weep and gnash your teeth on some levels) but weapons are easier to manage and include such items as rocks, water bubbles and what I call Jelly Monsters that occur incidentally in the game. There's something that compels you to go back and try, try again, just to hear those monsters yelp when you score a hit and to collect the sweet baby beetles they had kidnapped. I thought I would never get past level 22, let alone reach level 101, but reading the "info" signs along the way and reading other helpful hints but most importantly, analyzing the level to figure out how to get those monsters, I beat all the levels. Actually, I counted only 100 levels; maybe the final level counted as two. I highly recommend this game! 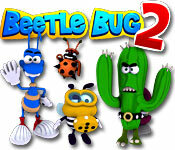 Evil little creatures are invading Beetle Junior's world. Use your skill to defeat them in this side-scrolling adventure.